Sometimes, there’s nothing better than some good ol’ bircher. It’s perfect for a refreshing start and adds a healthy crunch to kickstart your day! 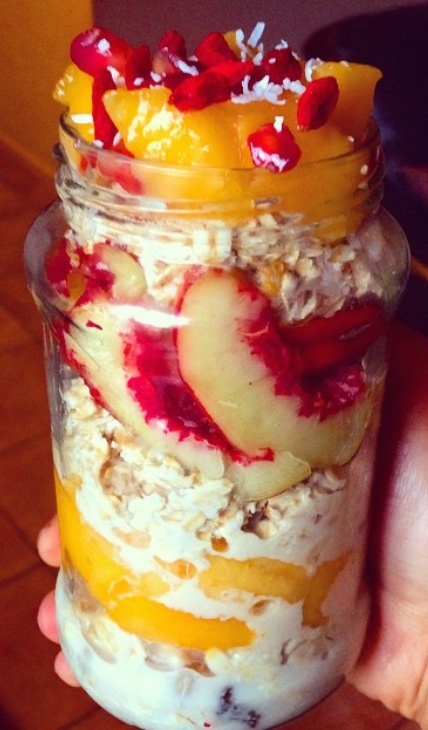 Bircher muesli is perfect for a parfait! 1. Stir all ingredients except for the milk until they are well combined. 2. Lastly, pour milk over all ingredients and leave in fridge overnight - if it's too try in the morning, you can add more milk. Enjoy!